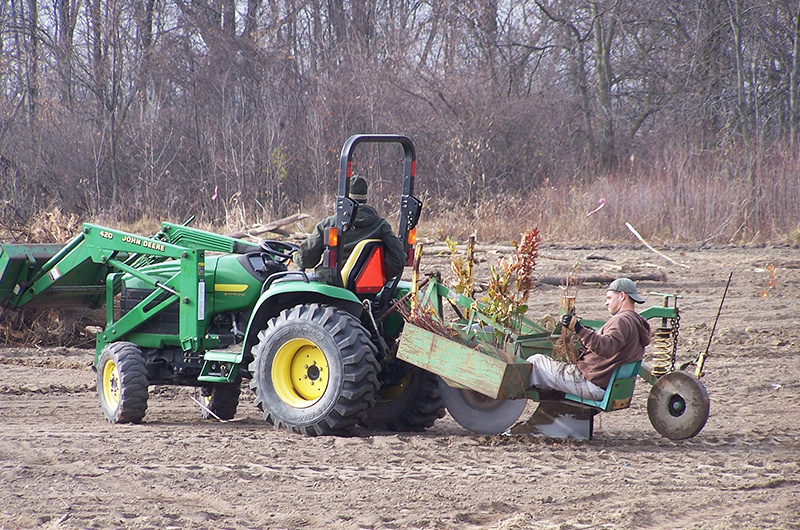 Niswander Environmental began providing wetland mitigation monitoring services to a private developer in the Fall of 2006 for a mitigation site known as the Westminster located in Macomb Township, Macomb County, Michigan. This project was started under a different consultant. Upon review, however, it was discovered that all of the mitigation had not been constructed as required by the MDEQ. As a result, Niswander Environmental developed a mitigation strategy that addressed all of the outstanding mitigation requirements. Niswander Environmental conducted a comprehensive search for suitable properties in the watershed that could be restored to historic wetland conditions and provide mitigation. Once identified, Niswander Environmental designed and built 9.2 acres of forested and scrub-shrub wetland that has been used to fulfill the mitigation requirements. Niswander Environmental delineated all wetlands within the project area, prepared all local and state permits, installed automated groundwater monitoring wells, installed a water control structure, bored soil pits to evaluate soils and hydrology, coordinated SESC measures, constructed the site, and seeded and hand-planted the wetland with over 5,000 bare-root trees and shrubs. The wetland is currently being monitored and actively managed by Niswander Environmental for a period of 5 years, through 2014.